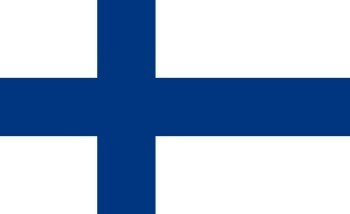 Finland Declares Broadband Net Access a "Legal Right"
Finland has become the first nation in the world to declare broadband internet access a legal right. Finland's Ministry of Transport and Communication has declared that one-megabit net access is a "legal right," according to a report by yle.fi. While other nations, including France and Greece, have previously declared "internet access" a human right, Finland is reportedly the first to specify broadband. And that's just the beginning: The guaranteed one-meg access is only an "intermediary step" toward making 100 megabit broadband access a legal right by the end of 2015, a decision the government reached last year. The specifics of "access" remain a bit ill-defined, however; in a report on the decision to guarantee universal 100 Mb net access that was published last year, the Helsinki Times said "no household... would be farther than two kilometers from a connection capable of delivering broadband internet with a capacity of at least 100 megabits of data a second," with the exception of roughly 2000 residences "in far-flung corners of the country." Some variations in speed will also be allowed for connections based through mobile phone networks. A one-megabit connection may not be super-fast by modern standards but for people currently stuck with dial-up access (and there are a lot of them out there, probably more than you think) access to any kind of functional broadband is an absolute Godsend. I'm not so sure how I feel about it being declared a legal right, however; I can't stop thinking that we should have more important things to worry about than getting a good ping in TF2.